How (Trick) To Get Cash On Delivery (COD) Option on Amazon - Amazon is one of the fastest growing e-Commerce portals in India nowadays. Everyone loves to order their favorite deals on Amazon as it provides the latest deals on various brands. Having large stores for multiple products on their portal. That's why they offer a vast yet easy way to shop a selection of Men's clothing, Watches, Shoes. Etc. Though they have integrated different payment modes to pay for buying on their site. Yet, we all love to choose Cash on Delivery option to be sure from our side. But in some cases, we don't get "Cash on Delivery (COD)" option as a Payment option. 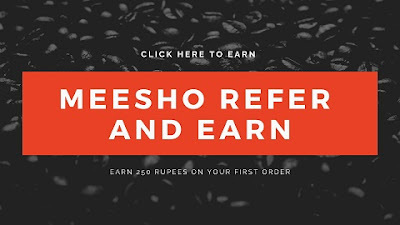 To avoid this hectic situation of not getting Cash on Delivery option We are going to discuss some best way to conquer this situation, Or you can say the trick to get Cash on Delivery option on Amazon. How To Get Cash On Delivery (COD) Payment Option on Amazon? To get the Cash on Delivery (COD) on your order. You have to follow the below steps carefully. But first, let me tell you why don't we get Cash on Delivery option on our orders? Possible reasons for this situation may be that you have already ordered any order on the Amazon and later on, you didn't pay for that. Means you have rejected an order from the Amazon which you have bought by choosing the Cash On Delivery (COD)payment option.That's why you have been facing this issue on your Amazon account. Mostly, such problem occurred while the placing the order of any Smartphones like Redmi 4a, Redmi Y1, Redmi 6 Pro on Amazon. In that situation, we feel helpless that we can't order those phones on Cash on Delivery as we need that COD (cash on delivery) option anyhow. Nevermind, from now onwards I hope that after using the below methods you won't face such Cash on Delivery not or Pay On Delivery error while placing your orders. Steps To Avoid Cash On Delivery (COD) Not Available. First of all, if you are not getting the Cash On Delivery (Cod ) option then choose Debit/Credit Card option. After that Place your Order. After that, you'll see an error of Payment revise. Don't worry Just follow the further steps to get Cash on Delivery option. Now, buy Amazon Prime and do the same option to pay as All SBI Maestro Card Payment option. After that, wait for 15 minutes, and you'll be able to see the Cash on Delivery (COD) option on your previous order. 8. Now go to the Retry Payment for your previous order, now choose the Cash on Delivery option and Place your order successfully. Maybe you all are waiting for some easy and best trick for Cash On Delivery option on Amazon while booking for Redmi 6 Pro, Redmi Y1 and other Redmi Phones then above trick might be some tedious one to use all time. So here we are going to give you some best and easy trick to get Cash on Delivery option on Amazon for Redmi Phone Booking. Can be pronounced as Amazon COD Script. Which you can use to place your Redmi phone order. When you'll get revise payment method on Amazon. So follow the steps for amazon cod trick which we are going to mention below. You have to do the few steps likewise you have been doing for the above method of COD payment option on Amazon. So just follow few steps same and then follow the below steps carefully. How To Revise (Retry) Payment Method in Amazon? After that, wait for 15 minutes, and you have to do copy paste the code of Cash on Delivery COD option from below and then paste it exactly where you want to get Cash on Delivery option by using Inspect Element. How To Use Latest Amazon COD Script To Get Cash on Delivery On Amazon? Now if you are not getting the Cash On Delivery Option then follow this amazon cod script. On the Payment Page of Amazon. Click F12 Function Key to get Inspect Element Box. Now on the other Payment Methods Just Paste the "Amazon COD Script". You're done now, proceed further and place your order. How To Get COD (Cash On Delivery) Option in Amazon For Mobile Device? Yes! you heard it right that now you can also get COD option in Mobile Device. Earlier it was not possible to get Amazon COD option for Mobile or Android Users. As it was required to get "Inspect" option to use the Amazon COD Script. Now here you can use a small trick to use the Amazon COD trick on your Mobile by installing a simple android app that is "Inspect and Edit HTML Live". Just Install the app and follow the below steps to get a cod option in your android device. First of download this app:- Download. Now Open your Amazon Account & enable the desktop view. Make sure that you have already done the "Revise" payment for COD orders. Now Click on the Finger ICON option and it'll turn Yellow. Copy the "Amazon COD Script" from the below. Now touch exactly below any payment methods like Debit/Credit, Net Banking. A pop-up box will appear with some HTML Text, Remove those text. Now Paste the Amazon COD script in that box and page will refresh. Now Choose the Cash On Delivery (COD) or Pay On Delivery (POD) option & place your order successfully. <span class="mini"></span>&nbsp;This order will be processed through COD, any earlier payment for this order will be refunded by your bank. That's all for the trick to order cash on delivery option on Amazon. Just follow the all steps carefully to order your order on Cash on Delivery. I hope that you won't face any issue after using this trick. But still, you face then you can comment below.